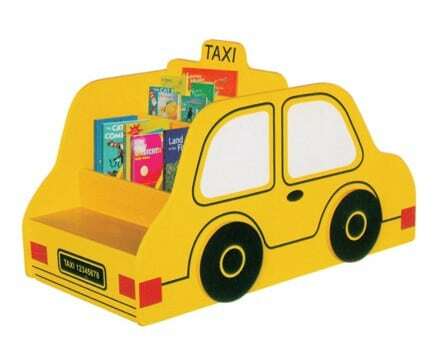 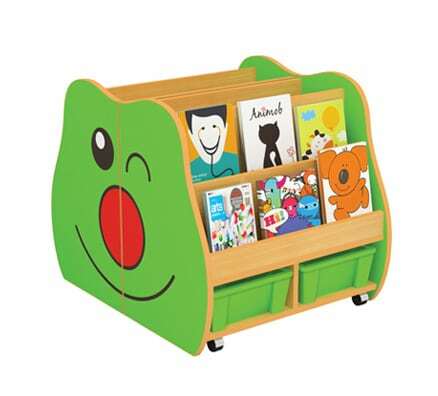 This cute and cheery character will add both charm and practicality to any early childhood space. 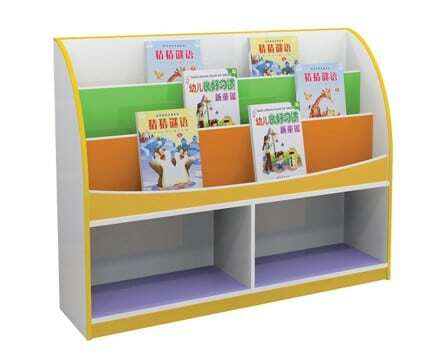 Its unique modular design means dual functionality for both storage and display. 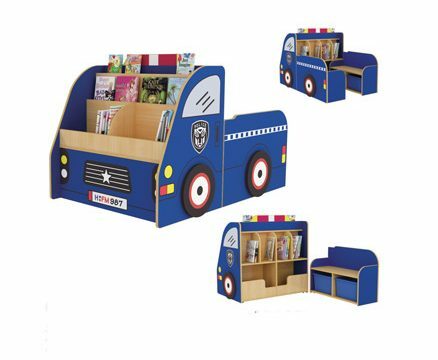 Utilize as a dual sided book display with internal tub storage or as two side by side or stand-alone units. 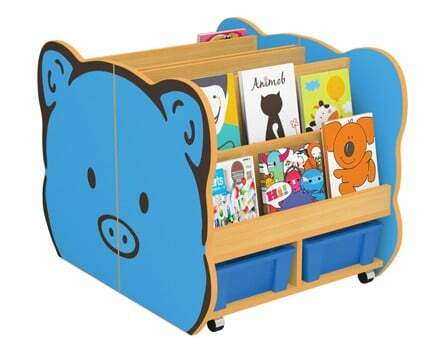 Conveniently on caster wheels for ease of mobility, and cleverly crafted for little people!